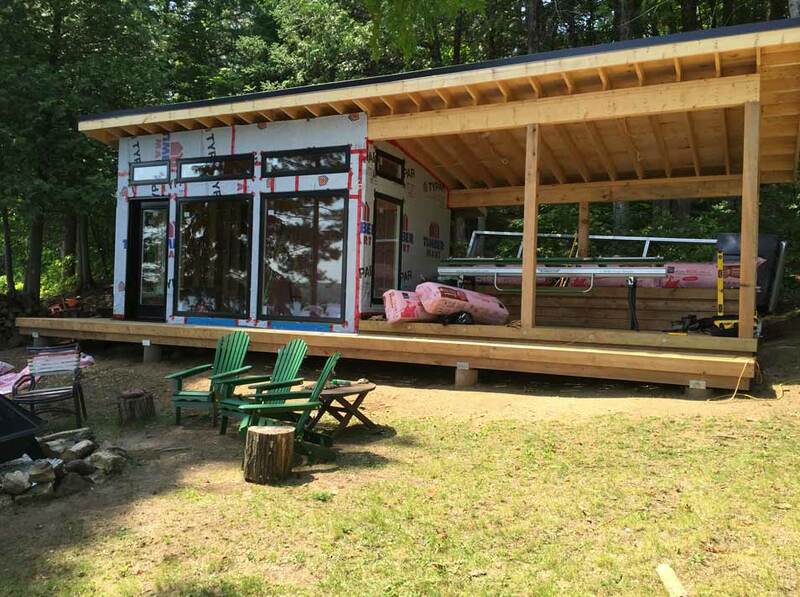 Custom Built Kawartha Bunkie | Conlin Premier Construction Inc. 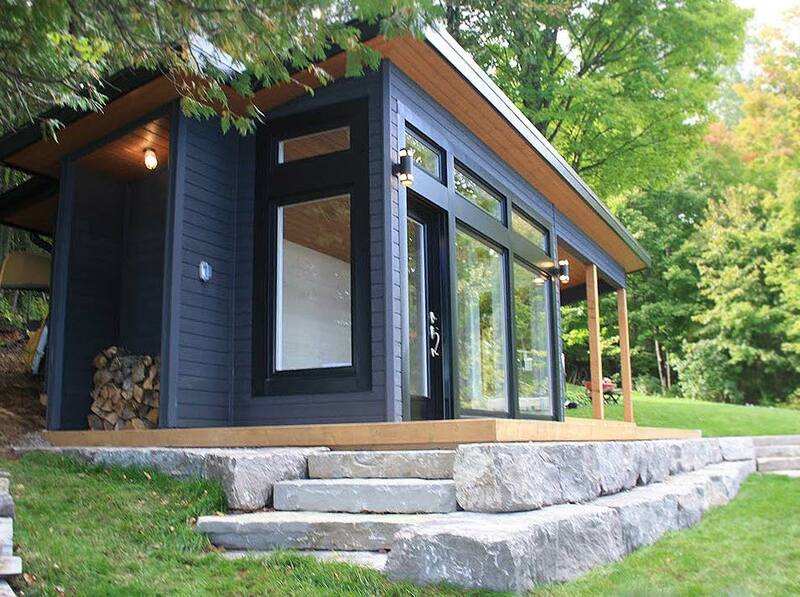 This custom-designed modern bunkie was built in 2 months over the summer. 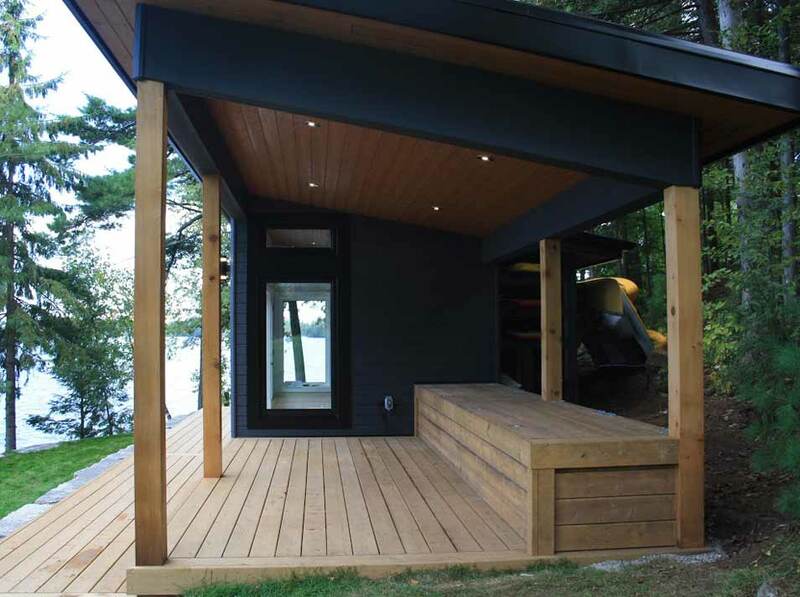 Sutuated near the water's edge - this gorgeous little bunkie enjoys a stunning panoramic view of Catchacoma Lake. We were able to accommodate our client's desire to incorporate functional hidden built-in storage by figuring out a solution on the fly, during construction. 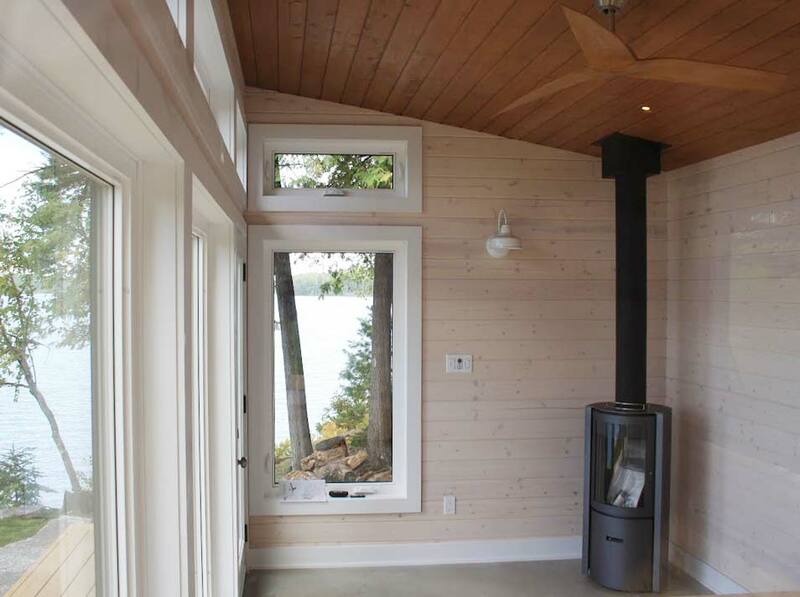 With limited interior space, this bunkie required a zero-clearance fireplace to be installed. We also modernized the overall look with low voltage accent lighting, a lifetime warrantied steel roof, and Maibec pre-painted wood siding. 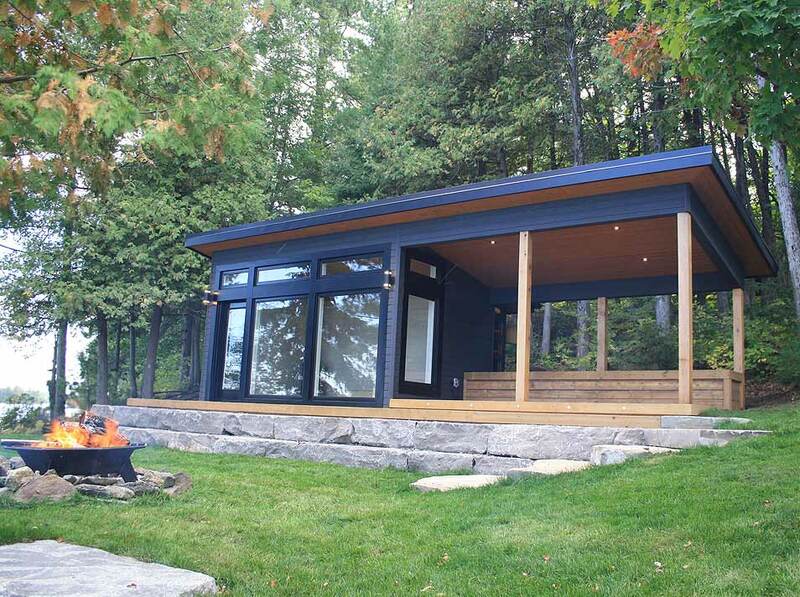 The interior was finished with polished concrete floors, friendly on bare feet and excellent thermal mass for keeping things cool on hot summer days. Getting materials to the site was a challenge. Challenging Kawartha topography forced the crew to haul in all materials by hand. And because we were building on bedrock, all footings had to be pinned directly into the stone with rebar.